With the Emmys coming up on Sep. 20, and with The Daily Show nominated for its final time under Jon Stewart, I started wondering: how many Emmys has The Daily Show won? Or, to put it another way, just how big are these shoes that Trevor Noah is going to be trying to fill? Well, as it turns out, pretty effing huge. Under Stewart's satirical reign of terror, the show has raked in 18 Primetime Emmy Awards so far, including an unprecedented streak of receiving the top award for Outstanding Variety, Music, or Comedy Series 10 years in a row, from 2003 to 2012. That's an achievement unmatched by even titans like the Late Show with Dave Letterman, which won six awards total, and five consecutive, or Saturday Night Live, which has won only twice in their 39 seasons on the air. And, even when The Daily Show was dethroned in 2012, it was by one of its own offshoots, The Colbert Report, and The Daily Show was still nominated in 2013 and 2014; it just didn't win. 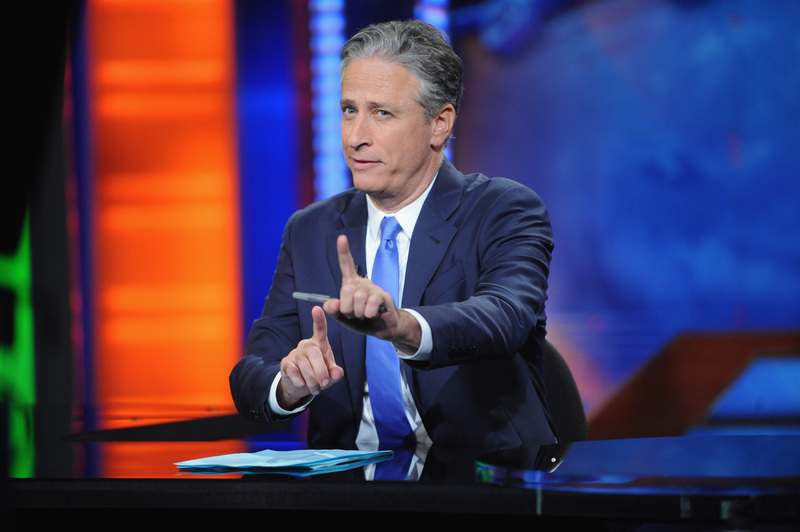 As we all know, The Daily Show is nominated for a 2015 Emmy as well, and, since I can personally attest to the outpouring of love, respect, and admiration that surrounded Jon Stewart's last Daily Show taping and his painful departure, I really don't see it coming away with anything but the top prize this year for Outstanding Variety Talk Series. Which would (hopefully!) bring the show's 16-season take to 19 Primetime Emmy wins. Damn son.